Sometimes my favorite part of finishing a great book is being able to discuss it with a friend. 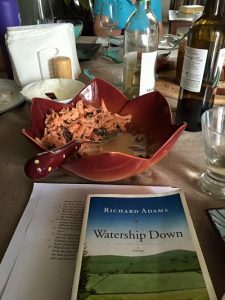 In my local book club, we have age and life experiences variances that bring different perspectives to the table, and we all feel pretty comfortable being honest with each other. You can learn a great deal about a person while discussing a book you’ve both read. Sometimes a book’s subject will bring things to light during a discussion that no one would be brave enough to bring up otherwise. 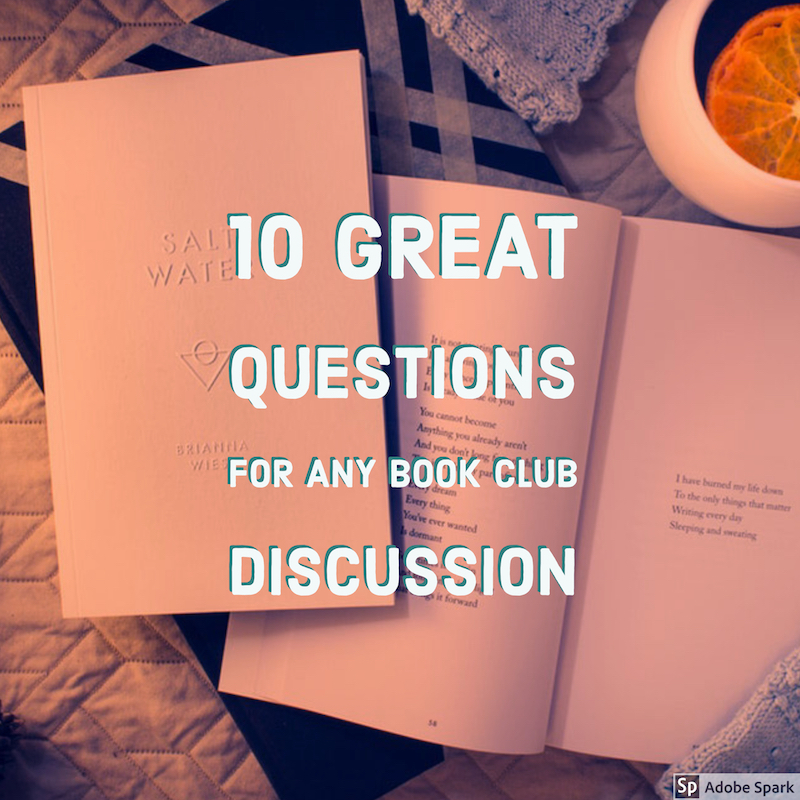 Whether your book club consists of two people or 20, and regardless of reading preferences, these questions can apply to any title, and spark deep discussion. 1. Did you like the book? Why or Why not? 2. What other books or authors did this one remind you of? 3. Would you read other books by this author? Why or why not? 4. Which character in the book did you relate to most and why? 5. Pretend you’re an editor, what notes would you give the author on this book? 6. Are there any quotes, passages, or scenes that have stuck with you? 7. Did you have to force yourself to get through it? Or were you hooked? 8. What do you think of the author’s writing style? 9. Did you learn anything you didn’t know before reading it? 10. How did you feel about the ending? Of course I was thinking that when I was writing them, lol! Very thoughtful questions that I should be thinking of when reading a book! My daughter is an avid reader of novels and buys from Amazon every month. She’ll love this post. Thanks, Ramona! Thanks for your time and comment, I’m glad you find the questions useful. Please share my site and blog posts with your daughter! Thanks, I’m glad you find these questions useful. My club usually searches online for questions specifically for the book we read but the last one didn’t have an online presence so we had to wing it and that inspired this post!